Sexual assault is a serious and prevalent issue on college campuses across the U.S. Children grow up learning strategies that are meant to protect them from that very threat, such as avoiding walking alone in the dark, never leaving drinks unattended and carrying around a bottle of pepper spray, among other things. In 2009, former President Barack Obama declared the month of April Sexual Assault Awareness Month (SAAM), and at Grand Valley State University, many student organizations are stepping up to the plate, educating fellow students and spreading awareness. 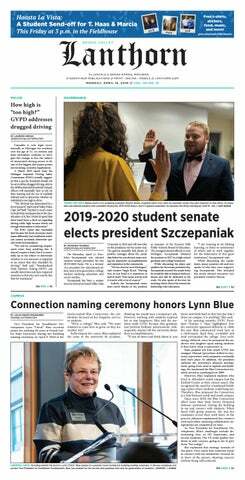 At the last meeting of the current Grand Valley State University student senate on Thursday, April 5, the senators welcomed in the newly elected student representatives. Grand Valley State University continued its monthly panel on medical issues with the Health Forum of West Michigan panel Friday, April 6, which discussed mental health. Panelists met from 7:30 a.m. to 9:30 a.m. in the DeVos Center Loosemore Auditorium to talk about the subject. Grand Valley State University’s University Academic Senate (UAS) met Friday, April 6, to discuss a motion by the Executive Committee of the Senate (ECS) regarding scholarship and how it is defined across GVSU colleges. The ECS had been debating this for some time and recently passed the proposal within its own committee. On Friday, at a meeting in the John C. Kennedy Hall of Engineering, the UAS voted in favor of the motion. Campus diversity remains a priority for Grand Valley State University going forward, and striving to improve working conditions for minorities and people of color is the goal of a new program being launched next fall. Cultivate, a program geared toward GVSU faculty, will work to educate staff on social justice issues and improve awareness of diversity both on and off campus. Grand Valley State University students had the opportunity to learn about effective leadership from the chief of the second-largest city in Michigan. Grand Rapids Mayor Rosalynn Bliss spoke at GVSU on Wednesday, April 4, for the Kenneth Venderbush Leadership Keynote. Bliss, who in 2016 became the first woman to become mayor in Grand Rapids, shared advice on believing in others, finding balance and making the most out of transitions in life.